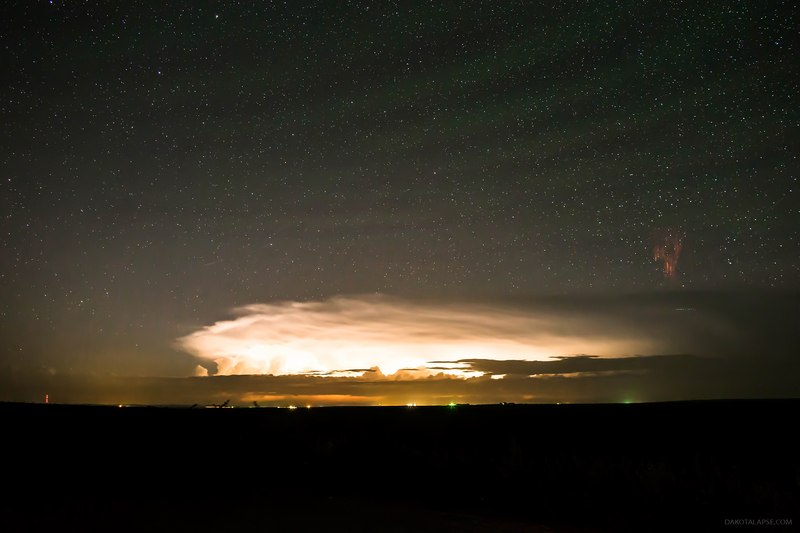 On August 20th, 2014 I timelapsed a storm over central South Dakota with multiple cameras. I left for Wyoming without looking at most of the frames. 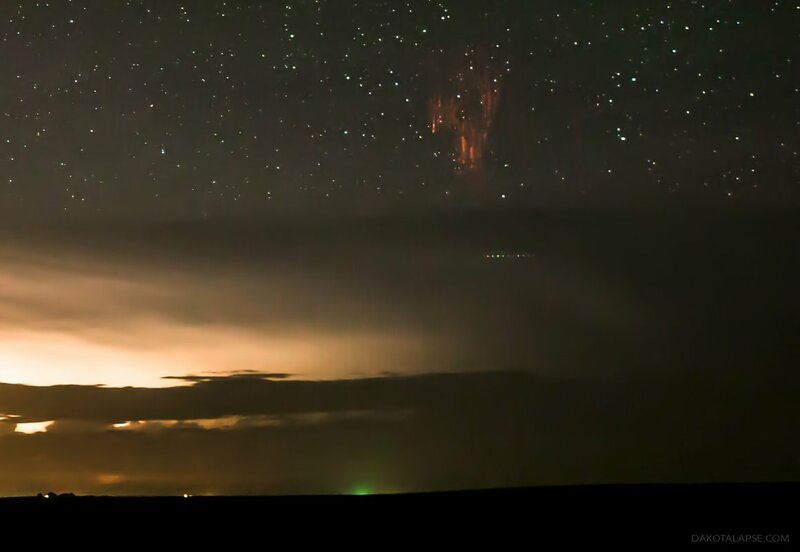 I saw a post by Tom Warner about Sprites he caught on the same storm. 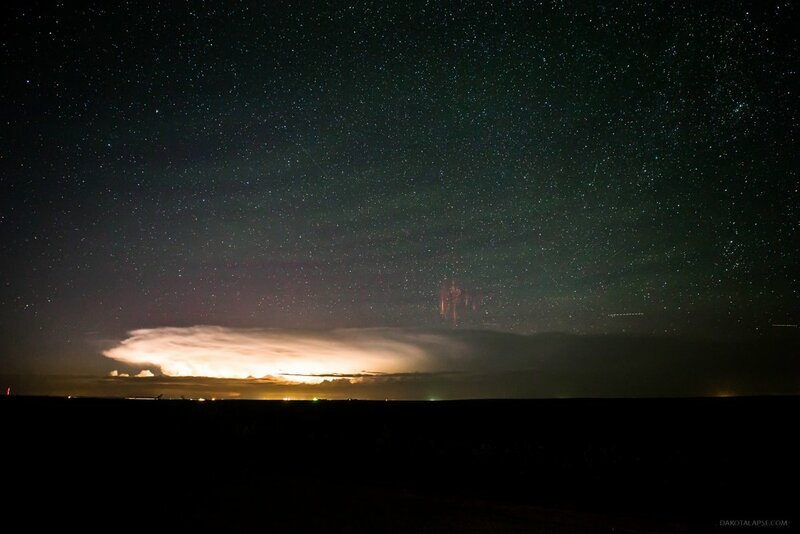 Sprites are large scale electrical discharges that occur high above clouds. When I got back I went through the frames and found 7 with Sprites in them. I didn’t post 2 of them because they are very faint. The Sprites are only 1 frame each, so they will be a quick flash of red near the right side above the storm. The green Airglow is rippled by Gravity Waves, (gravity waves are not the same as gravitational waves) some faint Aurora moves in towards the end of the sequences, on the right side before the clouds cover it up. Thanks to Tom Warner and Dr. Walter Lyons for helping me identify Gravity Waves in my shots. 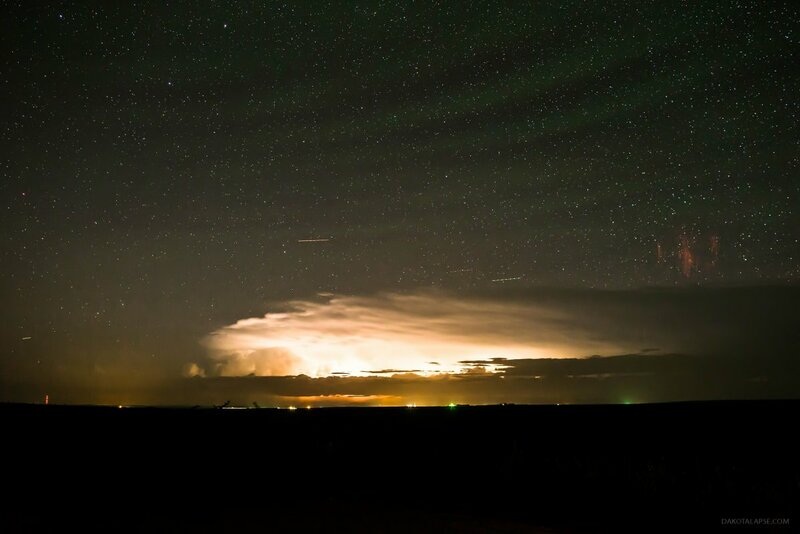 Dr. Lyons also shared a link that will help identify which storms may have Sprites. Look for a large red cross on the map. 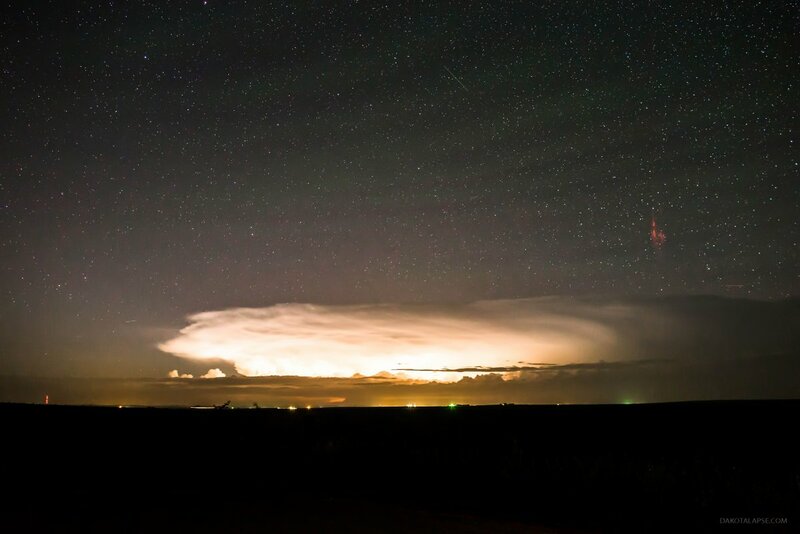 See the timelapse of the storm below, and more images in the gallery. 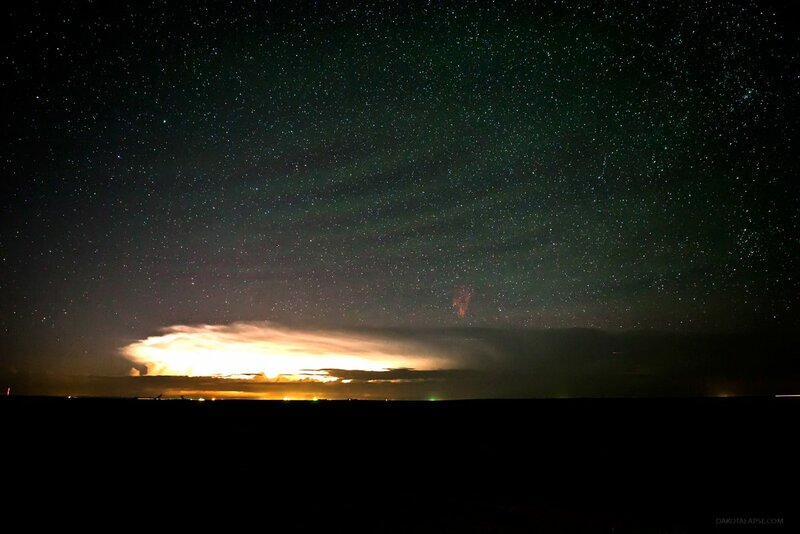 Sprites, Gravity Waves and Airglow from Randy Halverson on Vimeo. The Sprites are the red discharges above the storm on the right side. The gravity waves are the ripples you see in the airglow. 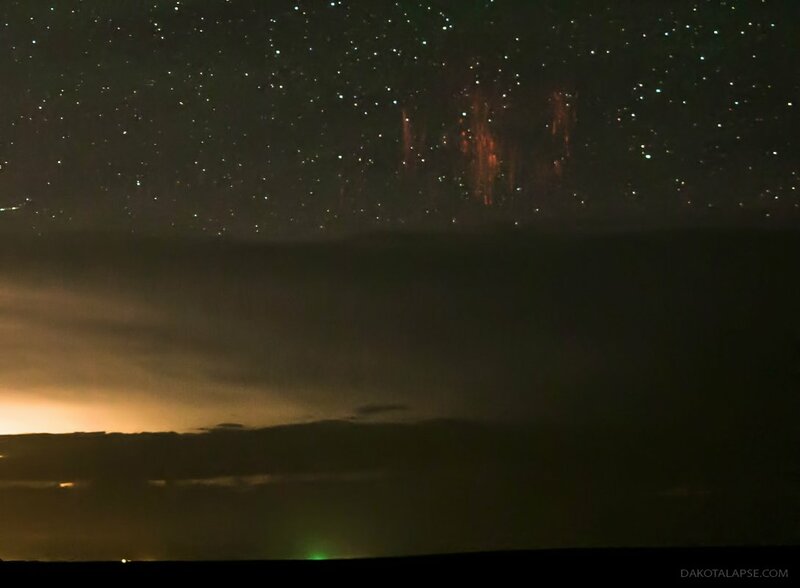 Gallery of Sprites and Gravity Waves – Click to enlarge. Pingback: Friday Visuals From Universe Today… | I Want Ice Water!